With the explosion of fashion content over social media, the so called ‘rules’ of fashion have been shattered. There are so many ways you can express your individual style through clothes, that it's frankly overwhelming. It is a norm now to create your own identity and to do that you gotta be willing to break a few rules! A group of rebels that have been doing exactly that are the street style stars who don't shy away from incorporating unconventional elements in their outfits. The art of wearing clashing colours together (think: turquoise and orange!) is a tricky one, but when done right, can make heads turn left and right! Here are 7 awesome ways you can achieve the look! Let our favourite Plixxo bloggers show you how! Plixxo influencer Agampreet’s approach towards incorporating purple and orange hues in her ensemble can be duplicated when you don't wish to go all out with this quirky colour combination! The printed skirt adds balance to the bold top and boots. 2. Wear Black With Blue! A rule of thumb used to be to steer clear of pairing black and blue due to their tendency to cancel each other out. Take a cue from the ever stylish Nilu Yuleena Thapa on how to put together an impressive formal look with her blue paperbag waist trousers and a black knitted turtleneck. 3. Go Oh So Gucci! The red and green combo has always been championed by Gucci and we can understand why! The combination has the distinctive look and is known to work with both casuals and dressy dos! How about switching up the rugged quotient and channeling a badass Aleena Mackar with a solid tank and some ripped culottes? This is arguably the trickiest of the lot because, if gone wrong, you run the risk of looking washed out! If you are a newbie, Kavya’s camel dress and black outerwear is the perfect colour palette to try for your first foray into trying out this combination. We see some pretty winter vacay pictures in your future! 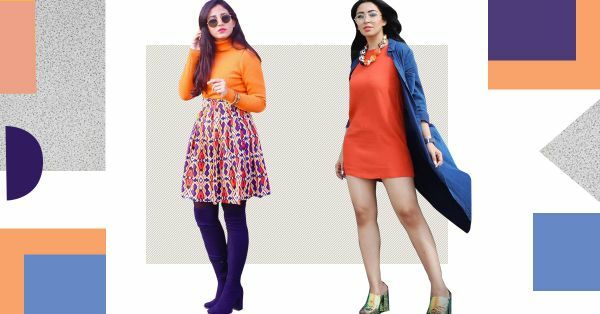 A shift dress with a longline coat, a midi skirt with a high low hem top, and many more such separates can be used to play with such eccentric colours! Shristi Soumya paired her tangerine shift with a navy flowy jacket, a top tip you can use for your next OOTD Insta post! A popular yet unconventional colour combo is yellow and brown! 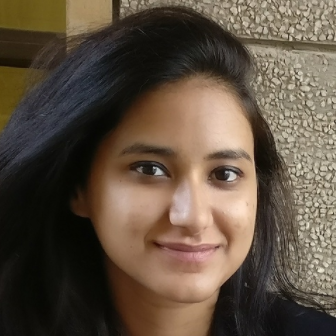 But if you are uncomfortable with that, use Riya Jain as a reference and tone down the hues. Her pairing of a mustard yellow top with earthy toned brown boots totally slays! You can pair your singular pieces with accessories in offbeat colour combinations. Kritika Khurana chose to rock the red and brown combo in her own boho way of paring a flared maxi dress with a brown handbag. You can even go for elements like scarves, socks, ties and much else!